I feel like I cheated on Jersey Giant Subs tonight. I was driving from Grand Haven back to Grand Rapids via Lake Michigan Drive right around dinner time. I figured I could find something to eat somewhere near Grand Valley State University. I had greasy for lunch, so I really just wanted a sandwich. I get tired of Subway, so I kept driving hoping to find something. That driving paid off when I noticed Boardwalk Subs. Tallarico’s Boardwalk Subs is on Lake Michigan Drive just west of Cummings Avenue in Standale. It’s part of a small strip mall about a 1/4 mile east of Wilson Avenue. There’s a narrow parking lot in front of the building and more along the side. When I walked in, the first thing I thought was, “Man, this feels like Jersey Giant.” I couldn’t really find a back story on line anywhere, but when I searched the address, Jersey Giant did come up, so I’m guessing this used to be part of that chain. The set-up of the restaurant is pretty similar to JG. The color scheme is totally different and they don’t have the JG signature names, but they do have the giant 15″ subs and freshly sliced deli meats that I love. I went to the order end of the counter and selected the #8 on wheat. The lady making my sandwich pulled out a large sub bun and piled on the ham, capacola, salami, prostini, pepperoni, and cheese. She ten slid it down to the toppings station where I added on lettuce, jalapeno’s, Italian spices, and Italian dressing. The sandwich was then sliced in to six smaller sandwiches and wrapped up in butcher paper. Since I was taking it to go, I didn’t add on any chips or a drink. The total for the sandwich was exactly $9.00. By the time I got back to work, I was really hungry and really happy I had such a large sandwich. I unwrapped the sandwich and grabbed the first small slice. The spicy jalapeno and the Italian dressing gave the sandwich a distinct spicy and tangy flavor. The sandwich was delicious and exactly what I was hoping for. It was filling yet not greasy….and I need less grease. 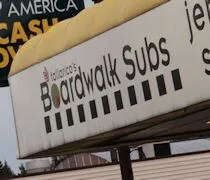 I have to admit, I was really surprised when I found Boardwalk Subs. I know someone had told me there used to be a Jersey Giant in that area and I had forgot about until I drove by. 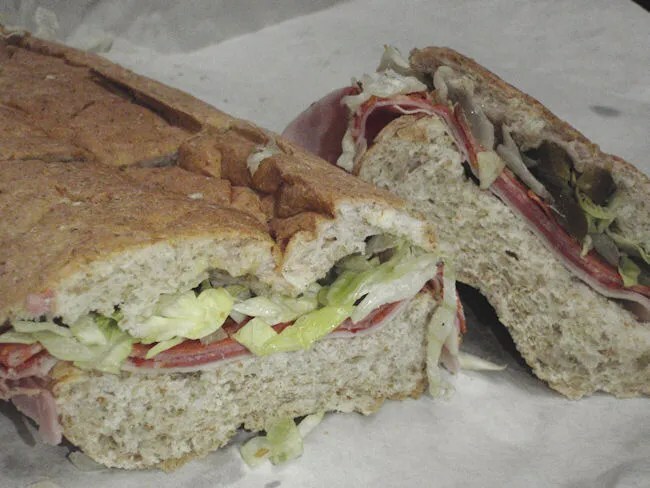 I didn’t realize the sandwiches were going to be so similar, but as a lover of Jersey Giant, it makes me happy that I can pick up a similar sandwich when I’m at work in the Grand Rapids area. 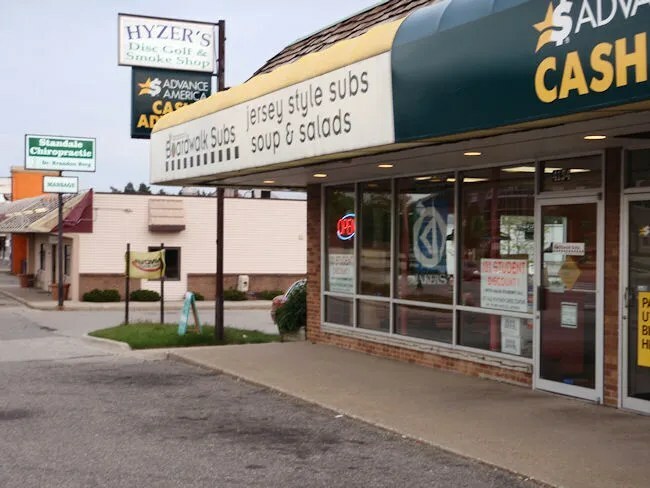 Since you love Boardwalk Subs so much, just so you know there is another location on Gezon Parkway, in Whyoming Michigan. And a third store coming soon in Byron Center, Michigan.